Day beds are usually small sized beds that can also serve as couches or sofas when not in use. They are commonly used in children’s and small bedrooms to get more out of the space without having to sacrifice the comfort. Almost any kind of bed can be turned into a day bed if you are up to it. The trick here is to always make it upon waking up, so it can easily look like a couch when not used for sleep. You don’t really have to fill it up with throw pillows to look like a couch, but it should be at least made so you don’t have to waddle through a heap of bed clothes just to sit comfortably. To give you a better understanding of how day beds can be used for small bedrooms, here are some great examples we have for you. Sitting right next to a window, this day bed appears as if it’s just an extended window sill with a cushion and throw pillows. We especially love the drawers, as it offer extra storage spaces. Eclectic Bedroom by Los Angeles Interior Designers & Decorators Tommy Chambers Interiors, Inc.
How awesome is it to have headboards on two sides of your bed? 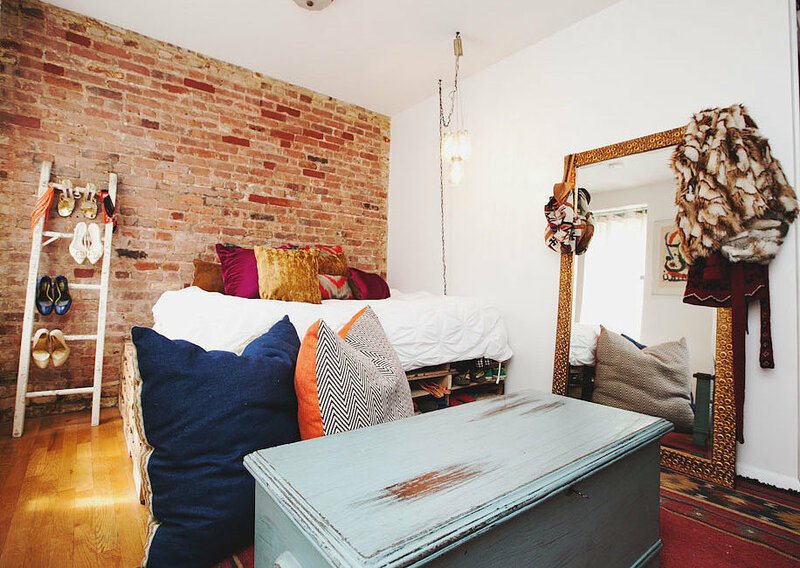 The cushioning makes it all worthwhile to sleep next to a wall in our opinion. This traditional bedroom is all chic, classic, and elegant. Perfect for those aiming for a classic look despite the small size their home offers. Day beds also add a touch of uniqueness in eclectic bedrooms, as they can look like a regular sofa, except that they also function as regular beds, like in this bedroom’s case. DIY day beds are also all the rage today! They’re inexpensive and versatile, perfect for renters and those who want to pinch pennies. 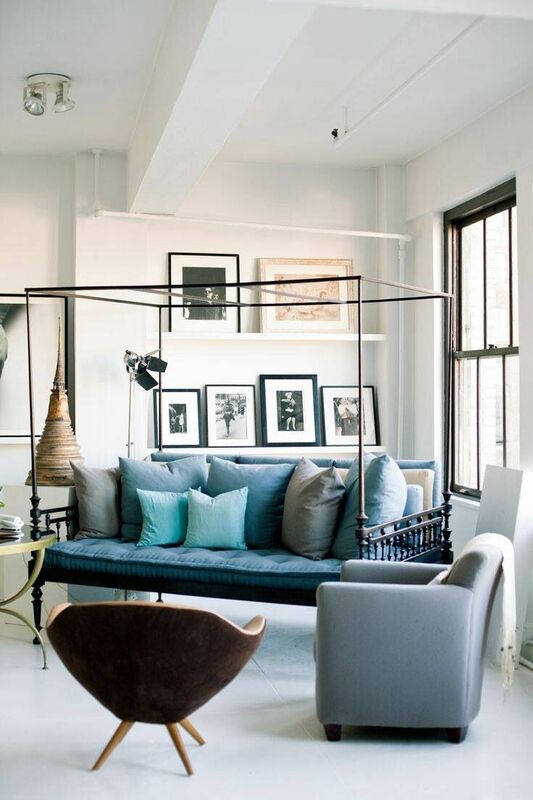 If you’re worried that a day bed will make your apartment feel too dorm room-y, take a cue from top interior designer Vicente Wolf and make use of a canopy day bed instead. Get the most out of your space without sacrificing the luxe look and feel of a canopy bed. 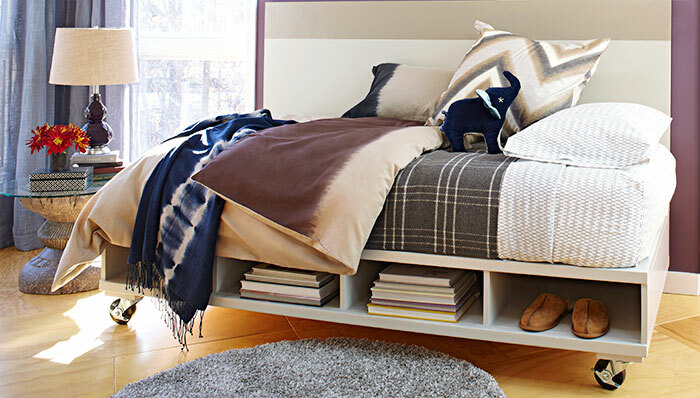 Have enough space but still want a day bed in your bedroom? 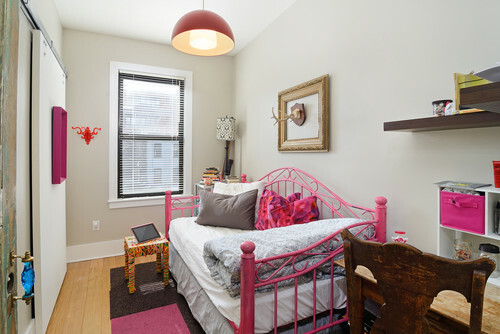 Why not go all out and opt for a full sized day bed like this one specially made for designer Nanette Lepore’s daughter? Whether you’re trying to get more out of your small studio apartment or want to experiment on the design of your child’s bedroom or home office, a day bed will surely be a nice fit for your home. Just don’t forget to top it with a Salem bed, and you’ll surely get the rest and comfort you desire.